Natural Slate has been used to roof buildings in the UK and Ireland for many centuries. Although many alternative man-made roofing options are now available natural slate is still highly prized, not only for its durability, but for it beauty and flexibility as a roofing material. It is available in a range of sizes, colours and textures that will suit any build modern or traditional. Naturally occurring slate deposits can be found across the world, Spain being the largest producer and exporter. Spanish deposits in the North West Galicia and La Bana regions produce rich blue/black and blue/grey slate. 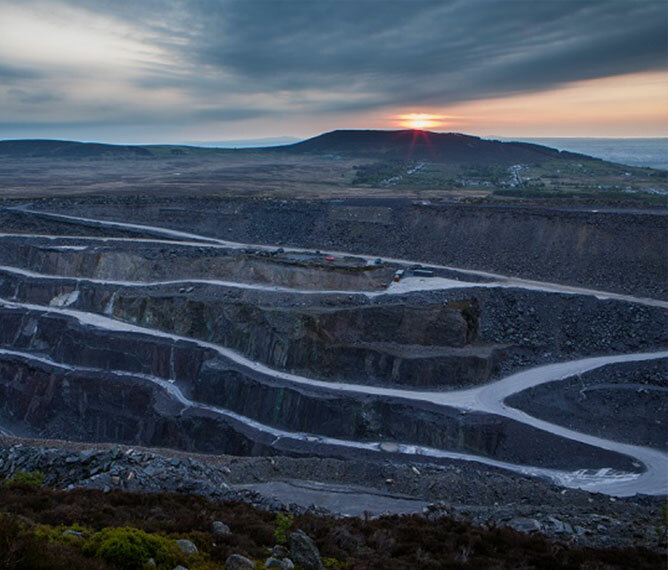 Welsh Penrhyn 'heather-blue' slate better known as 'Bangor Blue' or 'Blue Bangor' slate is still regarded as the finest natural slate deposit in the world. LBS specialise in Bangor Blue Welsh Slate and work with Building Contractors, Architects and Self Builders on a range of 'Heritage', 'Commercial' and 'Residential' projects across the country. LBS also stock Brazilian Slate, North American Vermont Slate, Chinese Slate and Westmorland Green. All our roofing slates are W1, S1, T1 certified and surpass BS EN 12326 and French NF Testing standards.